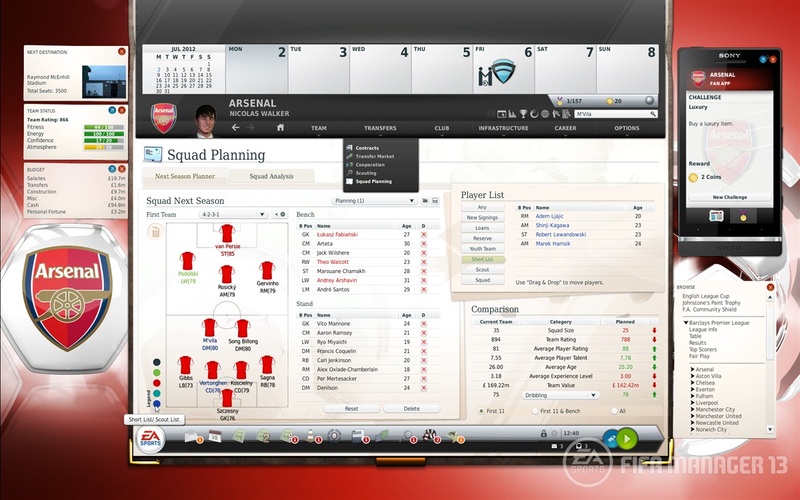 Squad Planner: This tool allows you to plan your squad for the next season. 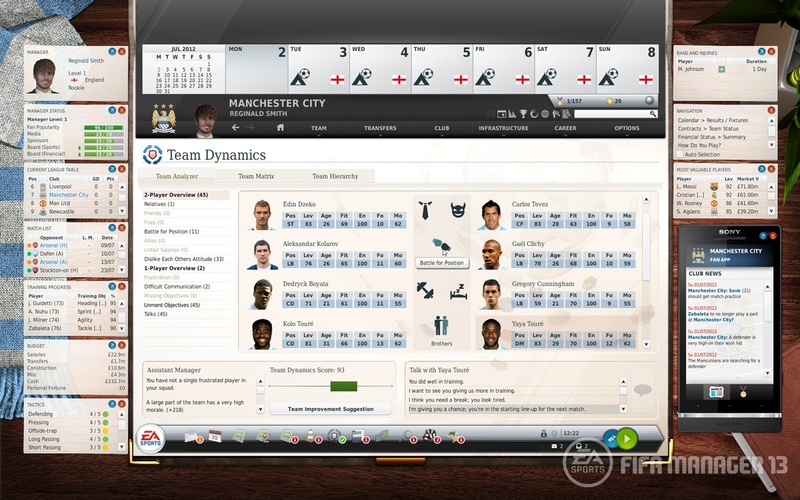 You can select current squad players, players in negotiations with your club and players who are just on your scouts' short list. 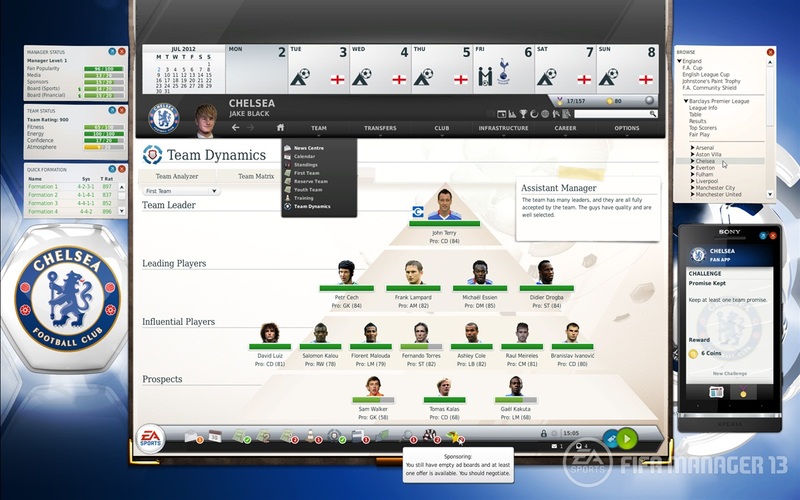 It is then possible to try out various combinations to explore the impact they could have on your team and to directly start negotiations in case you want to really sign a player. Player Objectives - Every player of the team has his personal objectives. Some want to become a first team regular, others want to play for their country, some simply want to improve their skills, whilst others want to be captain or take the penalties etc. The status of these objectives has a massive influence on the player's morale and as manager you must try your utmost to keep your players happy. You can now talk to a player to change his expectations or to give him new objectives. Also there are specific new talks for many situations, e.g. when you want the player to accept a loan deal or to move him to the reserves. Your Feature! 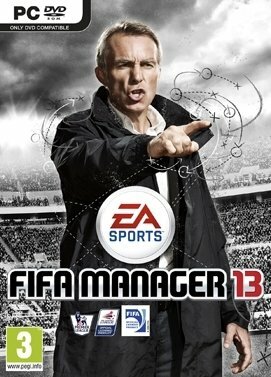 - Again the new edition of FIFA MANAGER includes many features suggested and selected by the community via a series of polls on our website. 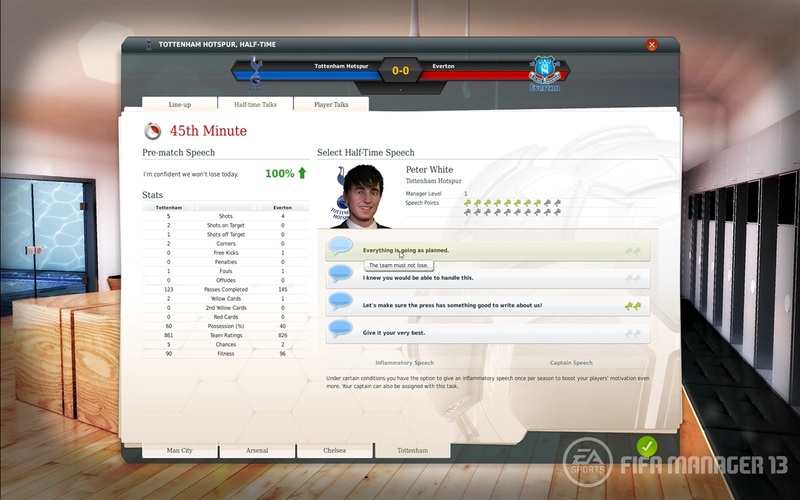 These features include "Shooting Stars" (with a particularly quick player development for a limited amount of time), the "Buy-back Clause", "Local Scouting" and "Dynamic League Development" (e.g. the television money changes in relation to the average league attendance and the clubs' international success).